Skin aging and the effects it has on ones self esteem and beauty standing has been the subject of studies and research probably for thousands of years. "Can you tell me how old my skin is?" was a question posed to me a few years back. A little taken aback, I answered quite honestly and wasn't too far wrong, which irritated the lady in question enormously. This was because she had of course spent many years and lots of money on not looking as old as she was! 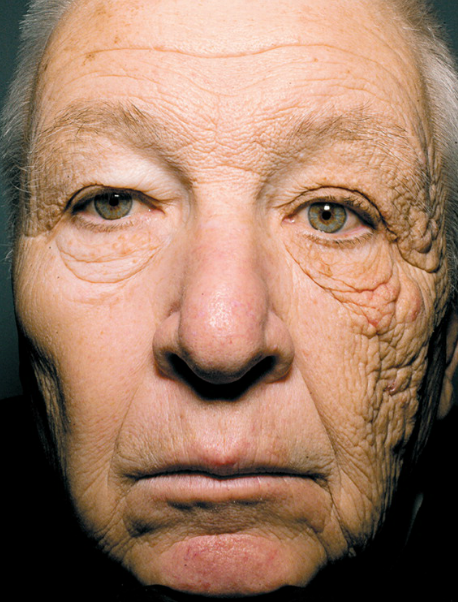 Needless to say we spoke a lot about sunscreen being one of the most effective 'cures' for aging skin! Not just any old sunscreen of course, but one that protects without being toxic, and boost ones internal abilities to reverse any potential damage to your skin. 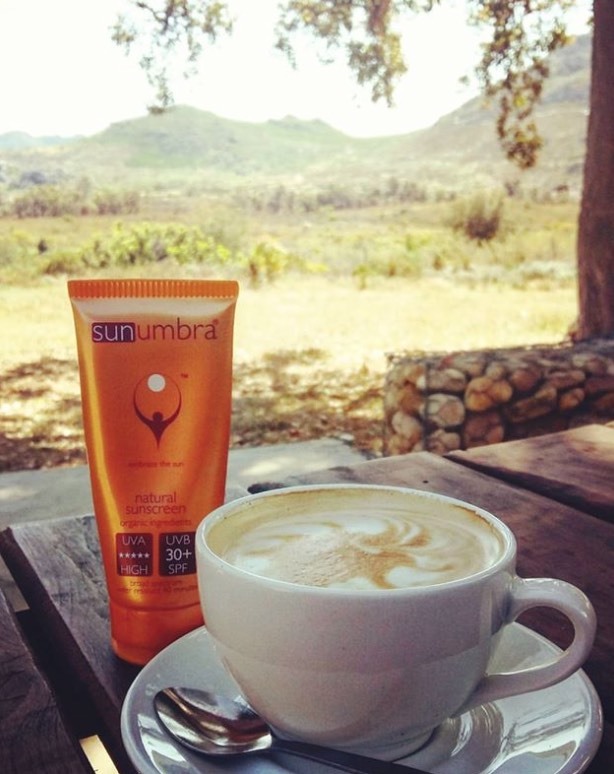 Start the day with sunscreen and coffee? This fight against aging is one that the beauty industry makes billions of dollars off every year and there is no shortage of demand for anti-wrinkle creams, serums, and treatments. Extrinsic aging is about how your skin interacts with the environment. Photo-aging, being a premature aging of the skin as a result of excessive sun exposure, plays a major role in the process of extrinsic aging. When your skin comes into contact with a lot of UV rays, this causes it to lose its elasticity and collagen, resulting in sagging, dull skin. Additionally, UV rays also create fine lines and premature wrinkles, as well as that leathering effect of the skin with extreme sun damage. Many people who experience photo-aging tend to have tough and roughly textured skin as well as fine lines and wrinkles. Smoking, lack of sleep and other external, environmental factors such as wind, extreme cold or extreme heat, and air pollutants, all contribute to extrinsic aging. Intrinsic aging is the type of aging that occurs naturally with the progression of time. As we get older, the majority of us will experience the inevitable fine lines, then wrinkles and sagging skin, no matter how careful we are with the extrinsic factors above. So, although some factors of extrinsic aging can produce the same results, the effects of intrinsic aging happen regardless ie. There's a limit to how much you can prevent the natural aging process from happening and at some stage perhaps just welcome it gracefully? From the moment we are born, continually through our lives, the format of our skin will change. With time, the skin will start to naturally lose fat and firmness. As the production of collagen and elastin slows down, the more prone our complexion will become to aging lines and wrinkles. The further complication of progesterone loss in the female body as you approach menopause and then move beyond it, also results in the skin becoming drier. Poor circulation is another factor influencing skin aging processes, as it results in a dull-looking skin. While these all seem like problems that are impossible to overcome, there are some ways you can improve how you will age intrinsically. One such thing is natural progesterone, which helps specifically with skin aging during menopause, when women begin to notice changes in their skin... wrinkles, lines, even sagging jowls. Be sure to focus on finding something that works well with your skin type and most importantly, contains ingredients to assist your skin naturally to improve it's ability to produce the elastin and collagen that it needs to combat the aging processes. The greatest indicator of how intrinsic skin aging will affect you in the future is genetics so you may want to turn to your family for a glimpse into how your complexion may potentially age years from now. Look at your Mom and Dad, or your Gran and Grandpa and see if there are some pointers for you!